In this emerging World, technology has been playing a vital role in every sector. One such thing is the home security system. With the development of advanced materials, there is a wide range of home security systems are available in the market. When you live in a home it’s your responsibility to protect both the family members and assets. So, it is very essential to install a home security system to protect your valuables. There are many factors to consider while buying a home security system in which key components are the main factors. A home security system consists of various components which work together to protect your home and family. Indoor and outdoor security cameras are a fundamental part of a security system. Cameras are used to monitor the happenings around the home. There are different types of cameras based on your requirements like doorbell cameras, smart cameras etc. Glass break detectors are a type of sensor which detects the sound of breaking glass with the frequency and alerts you immediately. So you can know any strangers or intruders when entered by shattering the windows. You can install your home security system with smoke detectors as an additional system in order to get the alert when there is any smoke in your home. The security system has an alarm which is enough to detect the presence of an intruder. When the alert is made, you get notified so that you can protect the home safe from burglars. With the home automation features, a security system enables you to monitor the usage of energy and turn off the electric equipment when you are away from home. This reduces energy usage and monthly bills. 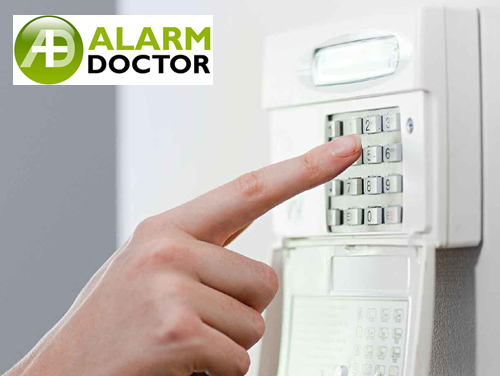 The components of Home security system help you to get alert when there is the presence of fire or carbon monoxide. So, you can save your lives from the danger of fire or CO gas. Through the surveillance camera in the home security, you can monitor your home whenever and wherever you are. You can see the videos lively with the help of wireless cameras and Smartphone. Do you have any queries regarding Home security systems? Let us know in the comments below.